Brian Fargo, whose credits include Bard's Tale and the original Fallout, wants to make a new Wasteland game. This is a very good idea. It's also a very good idea that Fargo wants to be involved, because there wouldn't have been a Fallout without Wasteland. 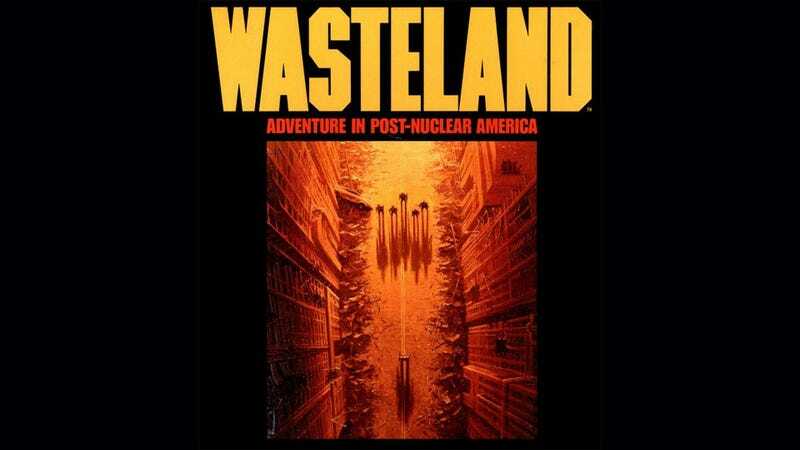 Released in 1988 on the PC, Wasteland was a pioneering RPG. Set in a post-apocalyptic future in the aftermath of a nuclear war, the player controlled a team of soldiers sent on a mission into a...wasteland. It was one of the first games to ever boast a persistent world, and also featured a rich and flexible approach to its obstacles and combat. It even tied into the real world by including documentation in the box that had to be kept tucked away and only read when the game instructed you to. Most importantly, though, it set the tone which Fallout would follow a decade later. Wasteland was a dry, violent and smart video game. Its NPCs would sometimes bluntly refuse your requests. It revelled in the damage and pain you could inflict on your opponents, to the point where publishers EA stuck a PG-13 sticker on the box, despite the fact games didn't really need to be rated back then. Brian Fargo has been trying to get this project up and running for around five years now, first floating the idea in an interview back in 2007. Since Wasteland was such an enormous inspiration on Fallout - to the point where in Fallout 2 characters repeat lines from Wasteland - it'd be great to see him return to that genre's roots, especially given the way Bethesda's Fallout games have deviated somewhat from the darkly humorous vision present in Interplay's earlier titles.